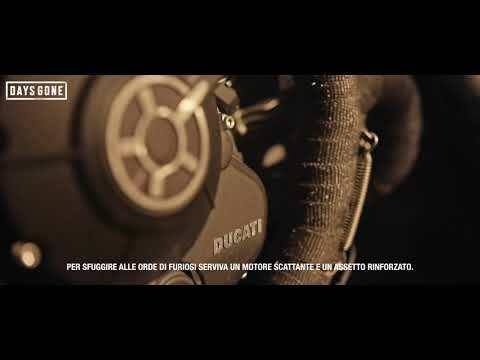 Days Gone and enjoy the Ducati Scrambler in a limited edition of one of the lucky buyers of the game: simply buy a copy of the title of Bend Studio in the Italian edition, to participate in the extraction of the bike. Buy Days Gone by, April 26, taking care that on the receipt or on the invoice there is the name of the game. Upload the copy of the purchase receipt or of the receipt. Also enter the date and amount. Register and join in now! You could win the exclusive Ducati Scrambler Days Gone Edition or one of the other prizes. Remember that you must be an adult to play! Days Gone will be available exclusively for PlayStation 4 starting from the 26th of April.